The K–12 game-based learning (GBL) market is expected to grow at a compound annual growth rate of nearly 28 percent through 2021, according to a new forecast from Technavio. The forecast identified GlassLab, Microsoft, Osmo and PlayGen as key vendors that will dominate the K–12 GBL market. Other notable companies to keep an eye on, according to Technavio's education technology researchers, include Banzai Labs, BrainQuake, Filament Games, Gameloft, iCivics, Infinite Dreams and Schell Games. The U.S. Department of Education provided funding to Schell Games for an upcoming educational VR game that seeks to better engage high school students in chemistry concepts. Read the full story here. 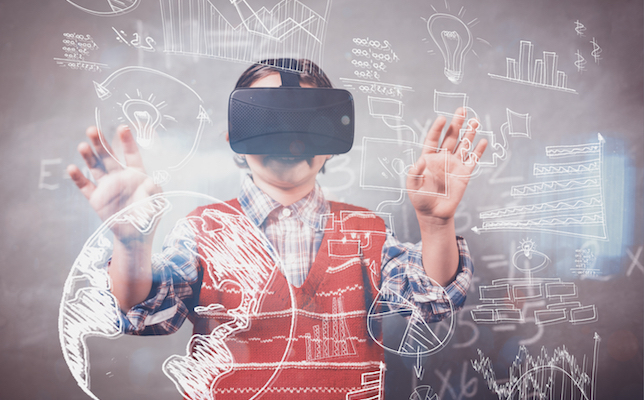 Three major trends also emerged in the report: First, as the market grows, there will likely be more demand for immersive tech that can potentially lead to deeper learning experiences for students, like augmented and virtual reality (AR/VR). Second, the market will see an increased for demand for wearable devices and the Internet of Things (IoT), including digital highlighters and wireless interactive boards from companies like Scanmarker, SMART, IPEVO and IdeaPaint. The final major trend: The K–12 GBL market will see an expansion of personalized and adaptive learning products due to widespread acceptance of m-learning and e-learning.